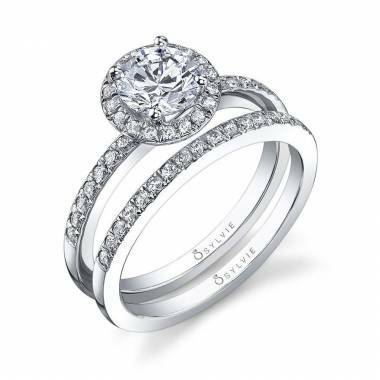 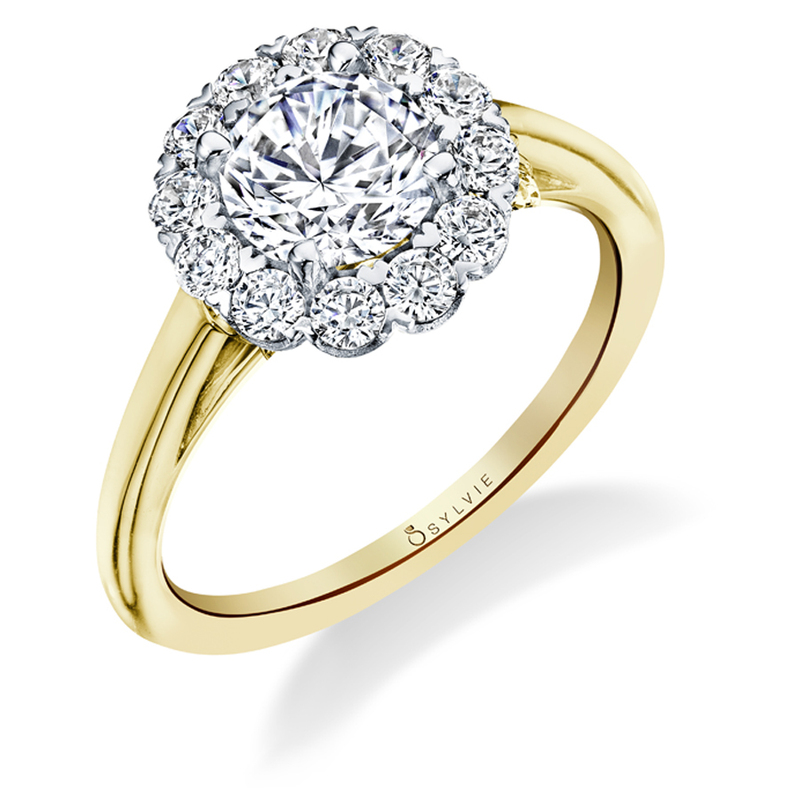 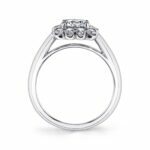 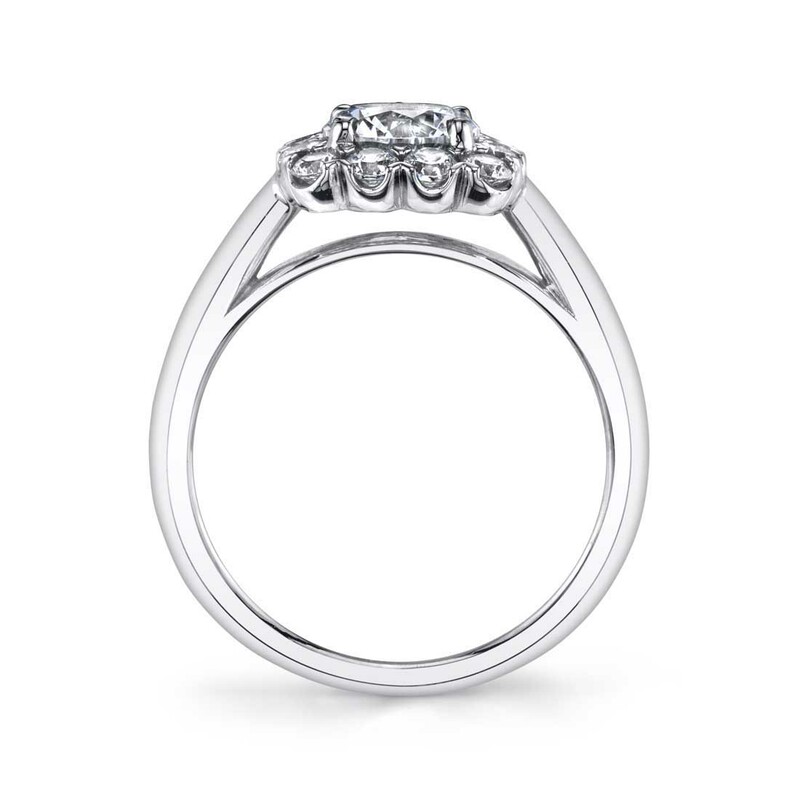 This classic halo engagement ring features a 1 carat round center surrounded by a shimmering cushion halo. 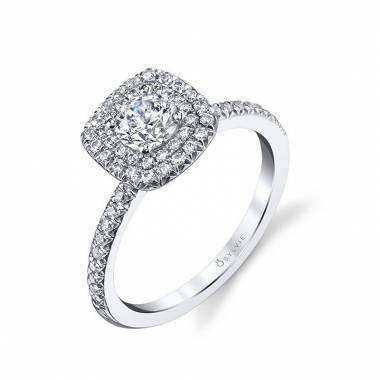 It's chic and shiny band makes for the perfect versatile look. 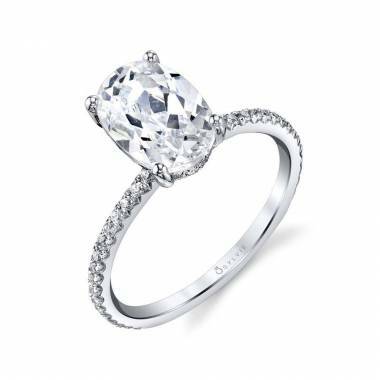 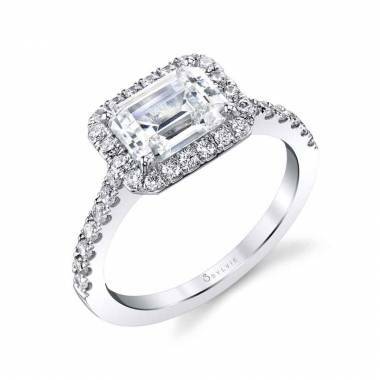 The total weight of this best-selling engagement ring is 0.51 carats.